Mushrooms… a Light, Durable Alternative to Plastic? | "Global Possibilities"
Home » How To Be Green » Mushrooms… a Light, Durable Alternative to Plastic? Mushrooms… a Light, Durable Alternative to Plastic? Planet Forward first learned about Ecovative Design when they uploaded a video about their packaging materials made out of mushrooms to the site a few years ago. Now, Ecovative is venturing into the world of footwear. Ecovative is partnering with Puma, a clothing and shoe company, to produce a completely compostable shoe. 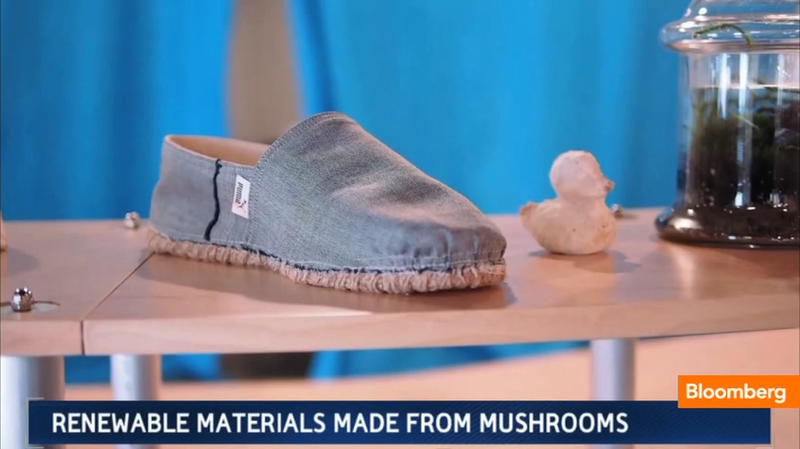 Ecovative cooks and cleans crop waste, adds mushroom tissue, and then molds the material into shapes, whether it’s packaging material or the sole of a shoe. The material is then heated to sterilize and kill any remaining biological matter, leaving behind a sturdy, yet light, alternative to plastic. The shoes are not expected to be available for another year. However, Ecovative’s work is viewed as a step in the right direction toward their goal of replacing plastic once and for all.